Insight for Living Canada exists to help you do these two essential callings. We’re committed to teaching YOU how to study and apply the Bible. We’re also committed to joining hands with you to make disciples in all of Canada. For now, we are living in the “already, but not yet” time, a parenthesis between where some promises of restoration have been fulfilled and some are yet to happen. Jesus IS God’s awesome gift! People around the world are desperate for grace, truth, love, and hope. This Christmas, YOU can help them unwrap the awesome gift of Jesus by donating generously to Insight for Living Canada. God is fulfilling His promises to restore all things including broken hearts and lives and it’s exciting to hear stories of how God is using Insight for Living Canada in that. "It was like discovering that I was not alone!" People come to this country in search of renewed hope and the promise of a new life. 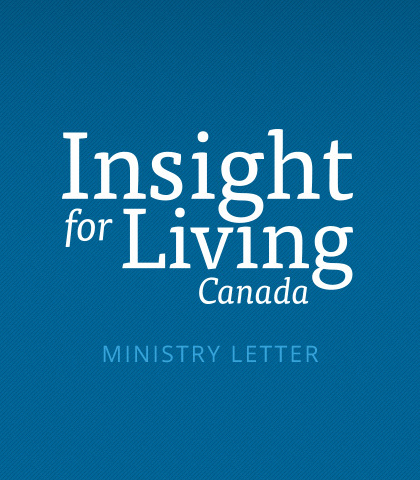 Hearing the Word of God through Insight for Living Canada can be part of their new beginning.